Master Baker Fabio Albanesi, manager and owner of Pregiata Forneria Albanesi in Roma, Fiano Romano and Senigallia, as well as being many times Italian and European champion in gastronomy, deals with training and consultancy for planning your activity. Master Baker Fabio’s experience and professionalism are a guarantee of winning strategies and marketing plans that are ideal for those who want to open their own commercial activity. In order to open a craft laboratory with point of sale in gastronomy, it is essential to possess specific entrepreneurial skills and knowledge of gastronomy. 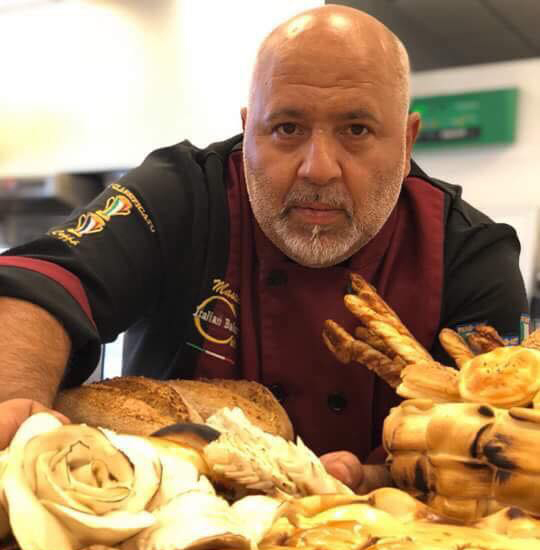 Master Baker Fabio Albanesi is available to those who need to contact a professional in the field, to train him about the management of his business. Trust Master Baker Albanesi’s experience and professionalism in both the planning and organization of your laboratory for pastry shop, gelateria, bakery, gastronomy or bar. To make an appointment or to ask for more information do not hesitate to contact us or come and visit us at one of our points of sale. We are waiting for you!